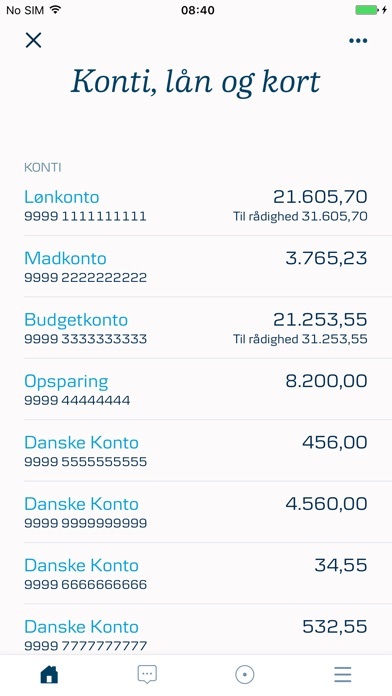 We have developed a brand new mobile banking solution that allows you to manage your finances and reach your goals even easier than in the old version of the solution. And many more. Of course, you can also check accounts, transfer money and pay bills – only in a much easier manner. 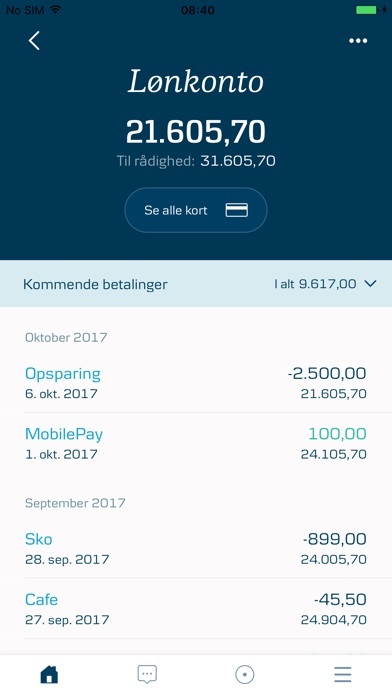 We will update the new mobile banking solution with new features frequently. So if there is something that you need, we are probably in the process of developing it. 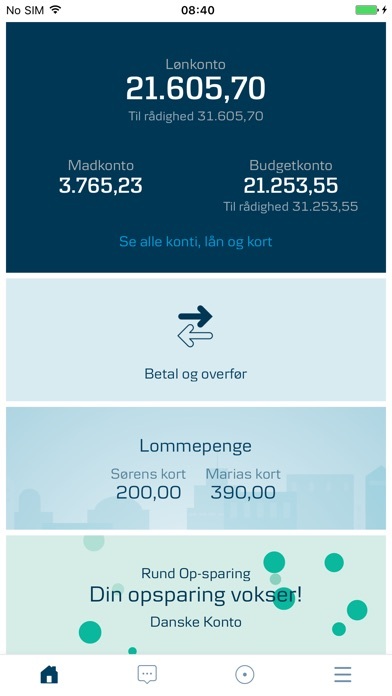 Check the website of Danske Mobile Banking to see what is in the pipeline. You are always welcome to offer your feedback via the feedback function of the mobile banking solution. 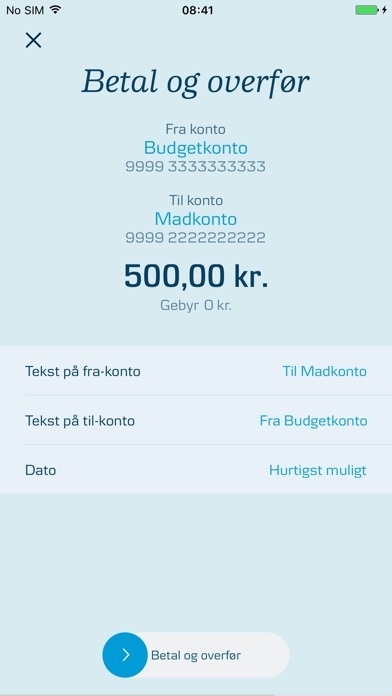 Of course, you can still use the old version of our mobile banking solution for some time yet. 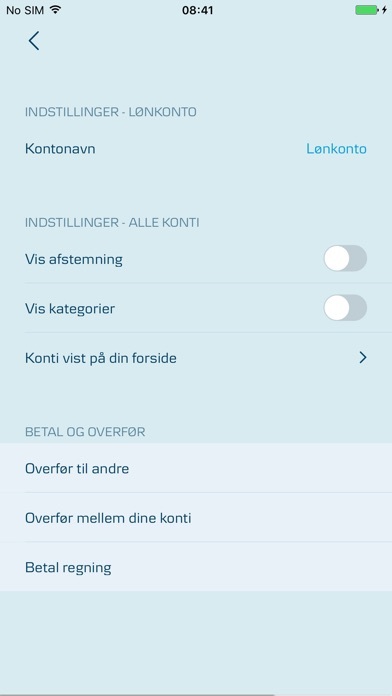 If you do not already have Danske Mobile Banking, simply obtain a service code under “Mobile tjenester” (mobile services) in Danske eBanking. Many of our customers have requested an improved menu under "More" and more details on card payments. We are therefore pleased to introduce these features in the app now. At the same time, it becomes possible to split up purchases on Mastercard credit cards and much easier to approve transfers, payments, securities transactions and agreements – because we introduce use of the four-digit mobile bank service code instead of NemID.